Not all grips are created equal. Out of round is out of bounds. There are numerous ways to evaluate the quality of a golf grip and we believe there are 3 major areas that need to be considered. By adopting our seamless true round molding technology we were able to make a quantum leap forward. The pictures above show cutout sections of two grips. The picture on the left is a cutout from one of the "World Leaders" and the picture on the right is a cutout of a Star Grip, clearly showing the advantages of our Seamless True Round Technology. Out of round is out of bounds. FIRST and most important item of all has to do with the concentricity of the finished product. If the grip is out of round and it is placed on a shaft that is straight, a condition is created that is exactly the same as having a bent shaft. We have seen out of round conditions of nearly 1/16th (.0625) of an inch. We do not believe that is a desirable condition on any club and must conclude if you are out of round...you are out of bounds. Our Seamless True Round Technology is the only tooling innovation in grip manufacturing in 50 years and automatically minimizes the out of round condition that exists with the spit cavity double reject line process. SECOND is the weight consistent. Over the years we have evaluated thousands of golf grips and found astounding variations in weight. It is not uncommon to find a 12% variation or a total of 6 grams per grip on a batch of 50-gram grips. This variation can mean up to 2 full swing weights between clubs. We continue to strive for the perfect grip and will eventually get there, but have managed to get our total variation to a little over 1 gram. +/- 0.6g. 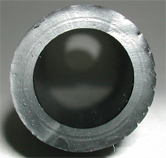 One of the secrets to our success is the seam less true round tooling. We have worked hard on the weight issue to improve the quality and improve production efficiencies via SPC. i.e., improved quality drives costs down. In the injection molding process, a variation in the size/volume of the cavities guarantees production problems that do nothing but increase costs. Click here for SPC. THIRD is the rubber compound itself. The feel... is it tacky and supple? Does it stay that way over time... even several seasons? Or does it get hard and slick quickly? Does it play well in all weather conditions? Is it difficult to install? Does it unravel and absorb moisture? 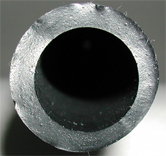 Is it durable and long lasting or is it a wrapped thermoplastic substitute for rubber that is extremely susceptible to attack by Ozone and UV? Worse is a low grade SBR and natural regrind used? It is not complicated. A premium quality, rubber rich formula cost more and from our way of thinking, it's worth more. We think you will agree. Put a Star Grip on one of your clubs and you will have all the answers to the questions above. Tired of your grips getting hard and slick? Star Grips stay tacky and supple. We believe that most Americans would prefer to purchase products made in the USA, but nowadays it is not easy to find Made In The USA on anything. In the 1970's, the American industrial complex had a planned obsolescence philosophy and an attitude that if you didn't like it, it was just too bad. A statistician by the name of Dr. W. Edwards Deming came along with a method that he claimed would improve productivity, reduce costs and most important of all dramatically improve quality. It was called Statistical Process Control, or SPC. The concept, like so many good ideas, is extremely simple: In a manufacturing process, step by step, eliminate all of the variables and do things over and over, exactly the same way, time after time. With everyone in the supply chain, from the raw material supplier to the finished product producer embracing SPC, automatically rejects are reduced, costs go down and the quality improves. Demming tried to interest the American automobile industry in his method without success. At the time they enjoyed a 70-75% market share. Demming then approached the Japanese automotive industry and they immediately understood the long term benefits and adopted the concept. The rest, as they say, is history. Americans prefer quality above all else and we are willing to pay for it. The U.S. auto industry lost nearly half of the market share and in the end realized their mistake and adopted SPC. 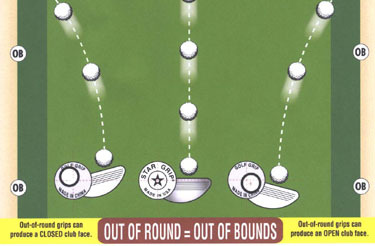 Golf is a game of fractions of an inch and the last time we looked, a club had 3 components, a grip, a shaft and a head. If quality or consistency is compromised on any of these components, obviously, performance will be effected adversely. Long term, we believe that a superior product that enhances the performance of any club will make Star Grip a winner.